If you’re a business owner trying to manage a hundred different tasks at once, shopping around for the best flights and accommodation deals for your business travel can be a real drag. Happily, Flight Centre’s team of business travel experts are making their services available to Access1st members, providing outstanding travel solutions at great prices – and managing the process on your behalf. 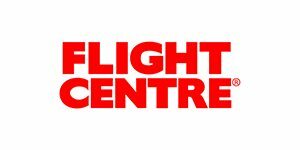 Flight Centre offers a broad choice of corporate and leisure airfares and hotels – and Access1st users can even benefit from Flight Centre’s own exclusive travel range, which you can’t find elsewhere. Your Flight Centre Account Manager has many advantages, including being able to assist you if you need to change your plans, or unforeseen circumstances throw you a curveball. You’ve also got a 24-hour point of contact. Access1st users can find out more about taking up Flight Centre's services behind the association and client log-ins.